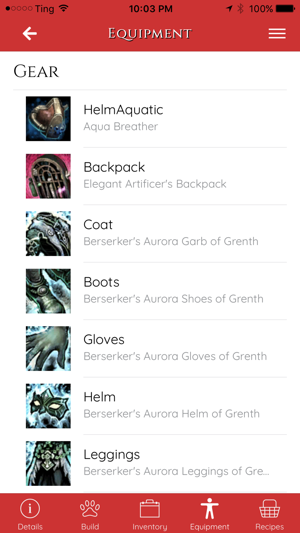 GW2 Assistant is a fan-made app for viewing your Guild Wars 2® account and character information on the go! 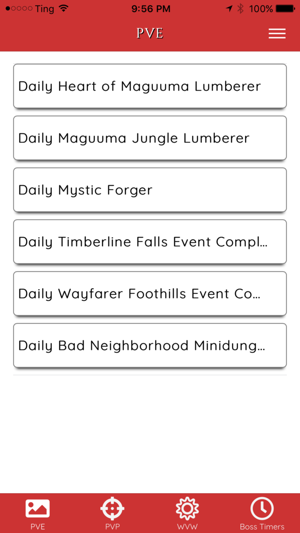 Without an API key you can view the Daily Events and Boss Timers. 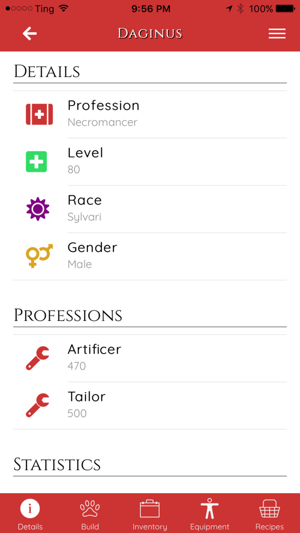 If you'd like to view your character and account information, you will need to generate an API token on https://account.arena.net/applications, and make sure to give it permission to builds, characters, progression, wallet, builds, account, inventories, and unlocks. 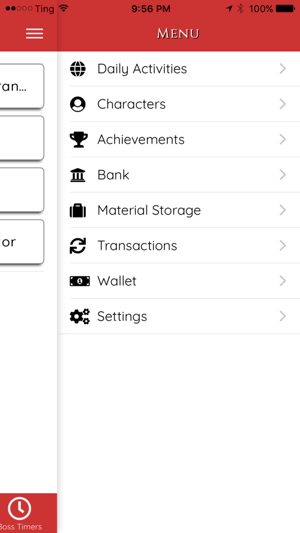 You can enter the key by copying and pasting it onto the settings page or by scanning the barcode. Most views can be refreshed by dragging down and releasing when "refresh" appears. We request the Camera permission to allow the scanning of barcodes. 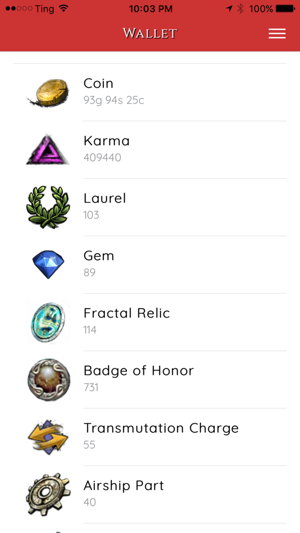 I love the info in the app! However, I come across certain screens where I get the spinning loading icon in the middle of the screen and it spins and spins. At that point I can't do anything. Other things I have no issue. I have to restart the app at that time. Is this a problem with my connection or the app? Can you send some more details over to support@alextheward.com? I can have a look and see if there's anything obvious. 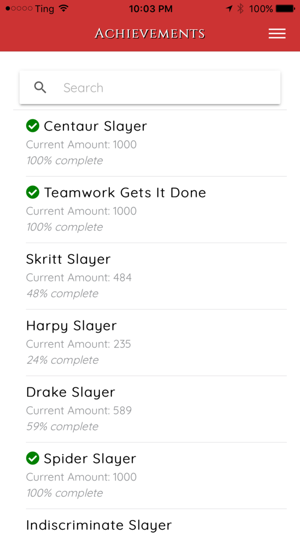 For what it's worth I'm slowly finishing up a v2 of the App (mostly same functionality, just some fixes and updating the framework) but I've not really had a lot of time to work on it. Even though the app won't load data after the update I'm giving it 4 stars because was great app before update and I know author will fix. ***Edit: Deleted app and re-installed on advice of very helpful author. Works great now! Back to 5 stars. Thanks for the review and sorry for the issue! Won't load data in what way - Just a white screen? Feel free to send more info over to support@alextheward.com. We're currently rewriting the whole thing to use Ionic 3, to help with some of the data problems - hoping to have that out soon.